For our last Currently On The Rocks of the year, I wanted to feature a drink that was festive and one I’d be drinking on one of my favorite days of the year: New Year’s Eve. I know that everyone says that NYE is an amateur hour holiday, but I find it to be an exciting time day to reflect on the year and think about everything you have to look forward to. One of my favorite drinks, while it might not be consumed on the rocks, is sparkling wine. I’ve had quite a lot of sparkling wine recently, since I just got engaged, but I bring in every New Year by drinking it and this year won’t be any different. 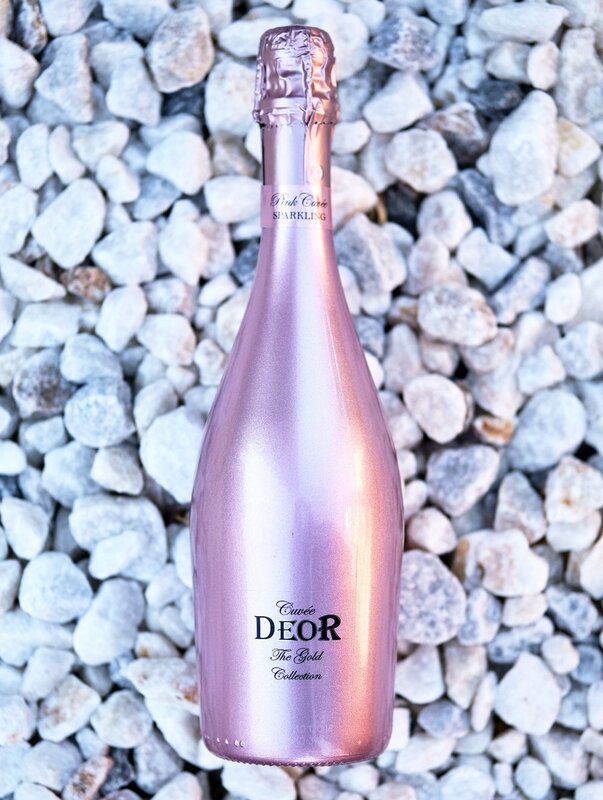 So that leads us to our final drink of the year: Deor Pink. It’s bottled in a hand painted rose gold or gold glass bottle using the traditional Venetian technique by a Venetian artist with rose gold paint and glitter. I love the design making it a wonderful gift and perfect drink for NYE with the girls. This sparkling wine tastes fruity, light and is an easy sip. I highly encourage this as your go-to bottle for the holiday season and wish you all the best in the new year! Cheers!